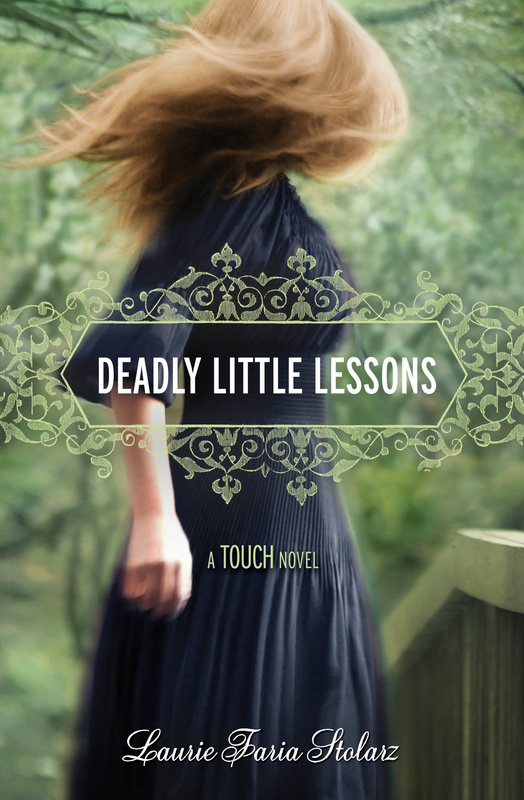 Congratulating fellow Girlfriends Cyber Circuit sister Laurie Faria Stolarz on the release of her latest Touch novel DEADLY LITTLE LESSONS (don’t you just love the cover?!). I hope you’ll check out the info on her new novel and her Karma Chameleon contest below. Happy Holidays, everyone! Camelia Hammond’s trying junior year of high school is finally over…but her troubles aren’t. After she discovers a painful truth about her family, she escapes to a summer arts program in Rhode Island. Determined to put family – and boyfriend – drama behind her, she throws herself into her artwork. In celebration of the release of DEADLY LITTLE LESSONS, I’m so excited to announce the launch of a brand new contest. I’m calling it Karma Chameleon – yes, after the Boy George song from the ’80’s (in case any of you have heard of it; if not, you can YouTube it for fun). I’m naming it that, not because of Boy George or his song, but because the contest is all about karma – good karma that is, and the spreading of it, and because, five books later, I thought it’d be the perfect time to celebrate Camelia from the Touch series (recall that Camelia’s real name is Chameleon). Author Bio: Laurie Faria Stolarz is the author of Deadly Little Secret, Deadly Little Lies, Deadly Little Games, Deadly Little Voices, Project 17, and Bleed, as well as the bestselling Blue is for Nightmares series. Born and raised in Salem, Massachusetts, Stolarz attended Merrimack College and received an MFA in creative writing from Emerson College in Boston. For more information, please visit her Web site at www.lauriestolarz.com.